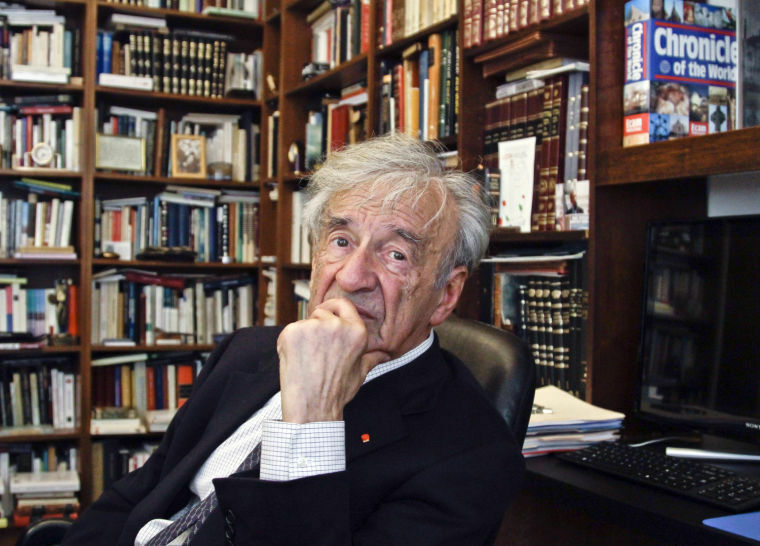 In early March, when flare-ups of hate speech and anti-Semitism at Oberlin College made the news and The New York Times ran a story raising the number of concentration camps to a startling five figures, Elie Wiesel expressed mild surprise. But not shock. He was merely curious about Oberlin, where odious messages and graffiti targeting minority groups roiled the campus, saying he thought Oberlin was a music school. And as for the Times story, “There is a certain surprise, on one level,” he said by telephone March 4 from Florida. “So many. Where were they? How come we don’t know the names when we should know the names? But the fact that they didn’t know was no surprise.” A March 1 Times story said researchers cataloged some 42,500 Nazi ghettos and camps. “The more I know, the less I know,” said Wiesel, a Holocaust survivor, 1984 Congressional Medal of Honor recipient and 1986 Nobel Peace Prize winner, who will speak Thursday, April 11 at Kent State University. Despite those honors and many more, Wiesel, in a sense, is a study in humility.